Yesterday was my rest day, and although I worked, it felt good to just relax. Monday, 5/14/12: Today, I woke up to a gray sky and a light rain. It was 62 degrees when I hit the trail, surprisingly because of the humidity it felt much hotter. Again I ran in my Newton shoes. I only ran a short 3.36 miles in 28:50. When I first began my run I felt good and fast. When I headed back I felt a little slower. The whole time I was focused on running form. I tried to keep centered, slightly leaning forward. I tried to be bouncy and light on my feet, trying to land on my mid-foot. At the end of my run, I felt more confident in my form. I felt like I was heal striking less and running good. I will admit I still felt some ponding, and some soreness. It was not pain, but even though I have been running in these shoes for a month, it still is different then what I am use to, and a bit uncomfortable. I am not sure if this is just because of years of running in my cushioned Brooks and Asics, or if this is just how Natural Running shoes feel. 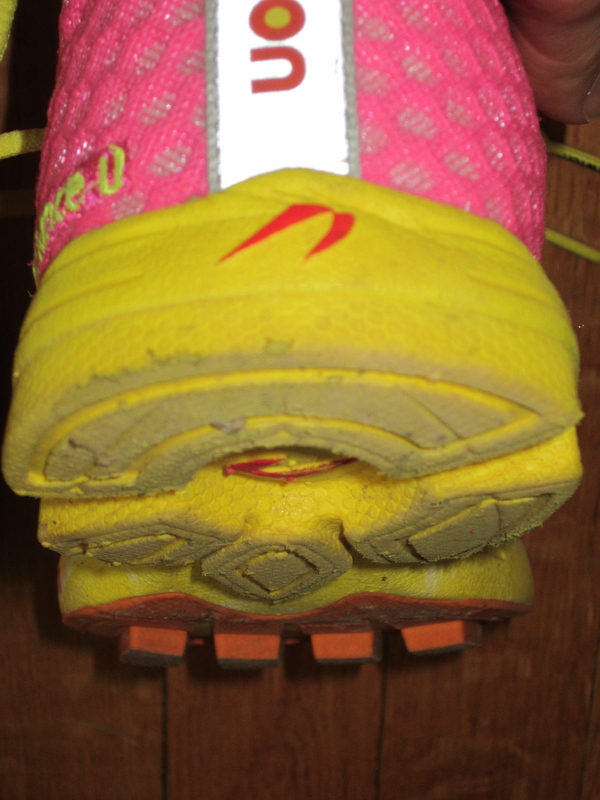 I also could really feel my feet move in the wide toe box, stretching and gripping the ground as I run. I am still trying to decide if I like all of this moving and feeling of the ground. P.S. Army 10 Miler’s Registration opens tomorrow, 5/15/12! Because I didn’t have to work and had no other serious plans today, Saturday, 5/11/12, I didn’t start my run until 2:00 pm. Again, I hit up my new favorite spot on the Mount Vernon Trail, the same spot that I have been running on all week. I find it quite fascinating how exciting it can be to discover a new favorite place to run, or to explore a new spot on the same old trail you always depend on. This type of excitement pumps through my body first thing in the morning, I wake up eager to run. Anyway, today was sunny and toasty. It was close to 80 degrees, so although warmer then I prefer, I could still tolerate it. I also brought a water bottle with me, even though I was running short. I ran 3.59 miles in 30:32, in my Newtons. This is the 5th day in a row running in these shoes. I will admit that today, I had a love/hate relationship with the idea of feeling the ground. Don’t get me wrong, I love using my sense of touch when running. I love being able to feel the ground and be aware of my run. But because I still overpronate slightly, I still need to focus on form. And today, I was tired of concentrating on running form. I was tired of being concerned about my feet. I just wanted to run, run far, get lost in my run, be worry free. However, on a more positive note, my legs never felt heavy, and I still felt like I was running fast. After I got home, my legs and feet were a little bit sore. Not painful but sore. I know this soreness is normal, because I am changing my stride and using different muscles. Lets just say my feet and legs are excited for a rest day tomorrow. Lina posted this on Facebook! I loved it… so there was no question about it, I had to share it with you! Me and Lina, wearing Newtons. Trying to run Natural, on an unnatural service. So as you may know, I have been running in my Newtons for a month now, but today was my fourth time in a row running in them, while it was Lina’s first time running in hers. I am running in the Distance U and Lina is running in the Motion. There is not much difference between the shoes, except the Distance U is a little bit lighter and has less cushioning and support in the heel. I am a neutral runner with a slight overpronation in my right foot. Lina is a heel-striker who overpronates. I am really trying to focus on proper running form, natural running. So far my stride has not transformed 100 percent, since running in the Newtons, but I have become more aware of my stride and what I need to do to change it. The one thing that I have noticed and love about running in the Newtons is how much I can feel the ground. Feeling the ground also makes me more aware of how my foot moves and how it strikes the ground while running. Here are pics from today’s Daily Work Out. LINA: has had stress fractures in both lower legs. The shoes she has run in previously have not helped her stay injury free. 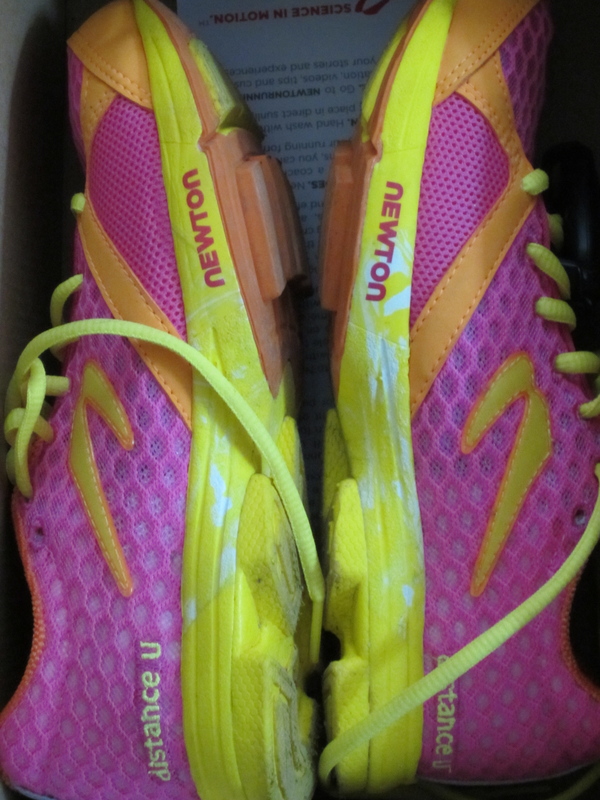 Hopefully, she can changer her stride by wearing the Newton shoes. Lina running in her Newton Motion shoes. Although, she is still heel-striking, she is confident that with time her stride will improve. She also loves the lightweight feel of the shoe. Lina again running in her Newton Motion Shoes. As you can see the shape of her elevated leg, shows she is over-pronating. Again, this is Lina’s first 3 mile run in her Newton shoe. Hopefully, with time her stride will improve. MEG: I have never had any injuries, only a blister here and there. I have always run in Asics Nimbus in a size 6.5 and just recently the Brooks Glycerin in a size 7.0. Both are good running shoes. 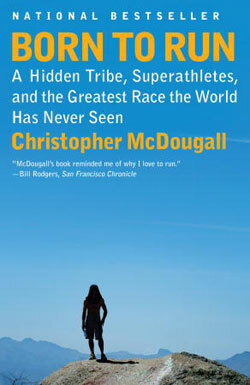 But after reading Born to Run, I have always been interested in the idea of Natural Running. 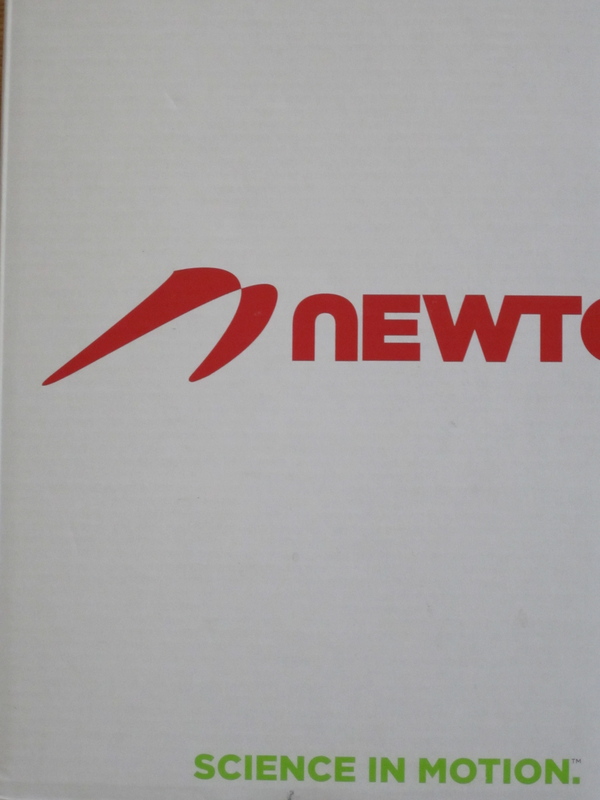 I am hoping the Newton shoes will help improve my stride and make me faster. There I am running in my Newton Distance U shoes. I am not heel-striking but rather running by landing on my forefoot/midfoot, the key to Natural Running. Also notice legs and ankles fall right under hips. Again running on my forefoot/midfoot. Also notice legs and ankles in line, right under hips. Key to Natural Running. Again forefoot/midfoot striking, and legs landing right under hips. Demonstrating Natural Running. 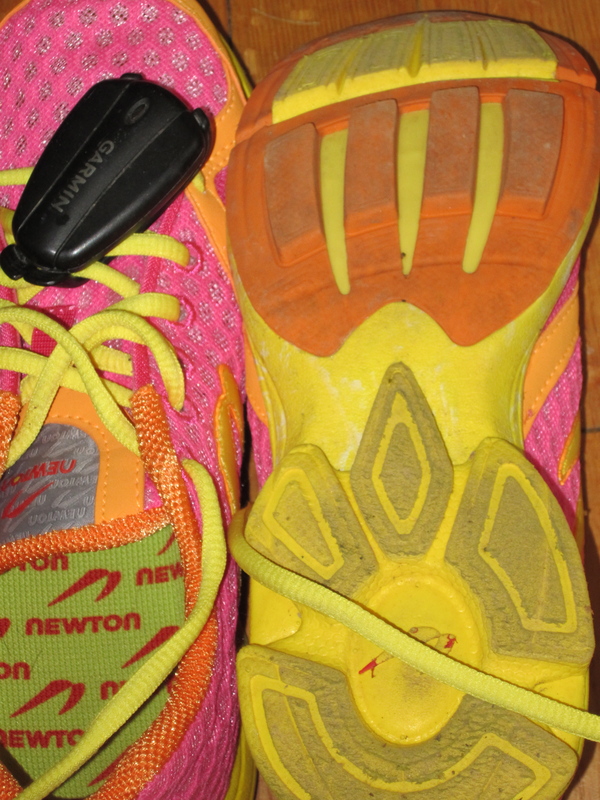 I have always been a neutral runner, so I am having a little more success in the Newton shoes and in transitioning to a Natural Runner, than Lina is. However, I have also been running in these shoes for a full month longer than Lina. Today was her first day wearing them. I still am not perfect and still heel-strike a little sometimes and slightly over-pronate with my right foot. Another awesome way to judge is to look at the bottom of the shoes. You can see more wear and tear on my right shoe. Friday, 5/11/12: Today, I woke up early, and hit the trail with my running buddy, Lina. The Mount Vernon Trail was super sunny, a tad breezy and around 60 degrees. It was Heaven out there, only a runner would understand. I felt like running far, but because Lina and I, are both running in our Newtons, we are still transitioning into a more Natural Running form, so we still ran short. Today, I ran 3.41 miles in 31:17. This is the slowest time, I have run this week . I think it is because I was with Lina and she is a slower runner than me. I started with her, but then went on and ran ahead. After we were done with our run. We practiced high knees and video taped our running strides. We also snapped a couple photos. 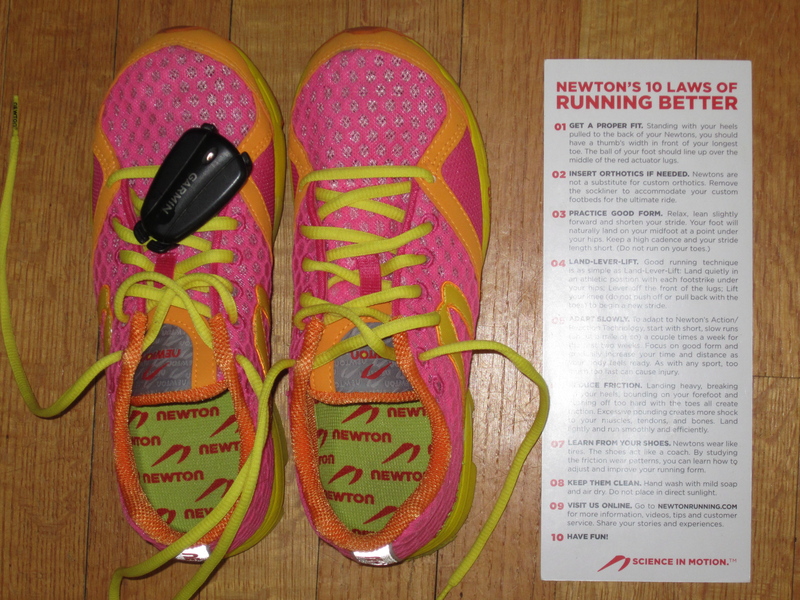 See next post for update on my Newton shoe experience and pics. My favorite page of Runner’s World world magazine is the Rave Run page. This page, usually found towards the beginning of the magazine, describes a spectacular place to run, that is worthy to Rave about. The page reminds me of a tour guide, revealing a secret running spot that is not known by the tourist, but rather an amazingly cool place to run, popular among the locals. It immediately makes me day dream and inspires me to plan a trip. 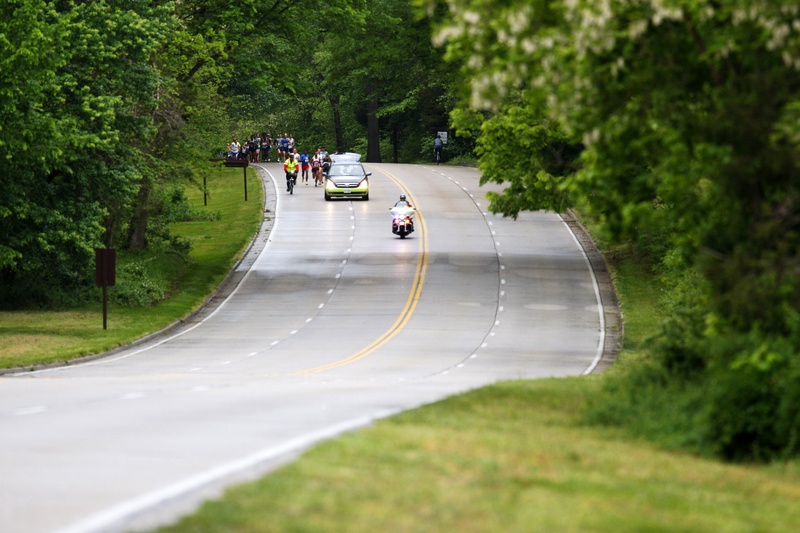 DC has several bike paths, paved for the road cyclist and road runner. The most popular are Mount Vernon Trail, Four Mile Run, WO&D, The C&O Canal, and although not the safest there is Rock Creek Park. DC also has several trails for the trail runner, including Roosevelt Island, Capital Crescent, Rock Creek Park, and Great Falls National Park. All of these paths/trails I have run and cycled on several times except for Rock Creek, and when it comes to safety, they are all pretty safe except for Rock Creek. If you do not want to be stuck on a trail, the city has some amazing loops around the historical monuments. There is also tons of cool bridges to run over, including Memorial Bridge and Key Bridge. 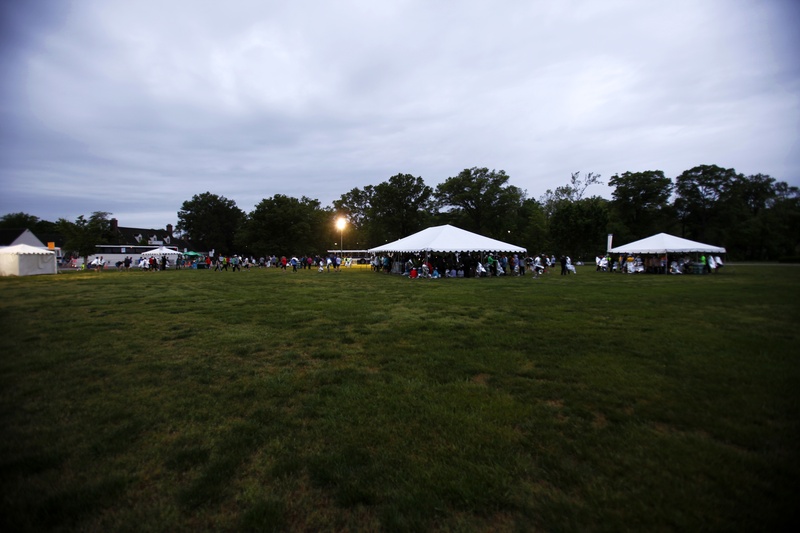 There is water to run next to, such as by the Tidal Basin, and even cemeteries to run by, including the famous Arlington Cemetery. 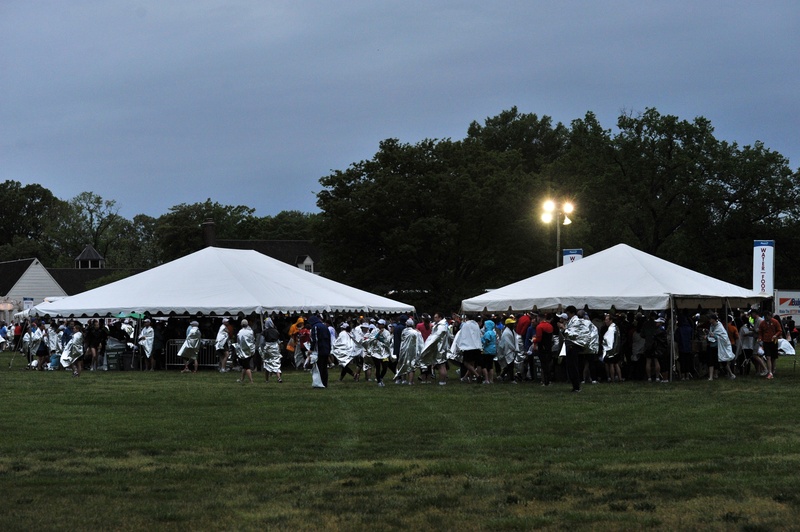 DC also has an amazing community of runners, and tons of running events. There are running groups/clubs that meet several times a week. There are also tons of races year round. Marine Corps Marathon, Army 10 miler, and the Cherry Blossom 10 miler are the three most popular races. There is also the Nations Triathlon, and several bike races, including some Centuries. Monday: I rested. The weekend was overwhelming with Friday’s 2012 CrossFit Games, Saturday’s Crab Feast, and Sunday’s Photo Shoot. Tuesday, 5/7/12: I ran a short 3.41 miles in 28:39, in my Newtons. Honestly, I am not sure how accurate my garmin is being. Because Newton shoes are light weight, they are known to make you run faster than traditional running shoes, but I am still not sure how much faster. When timing my mile using the markers I am running 8.30 min. mile. But I think the best way is to run in my other shoes to compare, timing to milage. The timing is correct, but I think I am running closer to a 5K. There are mile markers on the trail. I have been paying close attention to those markers. Tuesday was a hot and humid day, it felt good to really sweat hard. Wednesday, 5/8/12 : I ran again a short 3.41 miles in 29:10, in my Newtons. It was overcast and breezy, but it felt fantastic. I felt like I was in Seattle, the trees were so green, and the sky so gray. I just love running outside. Being surrounded by nature, is so refreshing. I also recently bought a 25lb kettlebell, that I always leave in my car trunk next to my yoga mat. I decided to take them both out an go by the water in the grass. I completed 3 sets of squats with the 25lb kettle bell 10 reps per set. In between each set I held plank for 60 seconds. Energy was pumping through my body for the rest of the day! Thursday, 5/9/12: Today, I ran again a short 3.69 miles in 32:25. It was cooler today, about 65 degrees. It was gusty breezy and sunny. My legs today were sore from the squats from yesterday. I ended my run with 3 sets of high knees. It was a good run and once again felt great to work up a sweat and be outside. 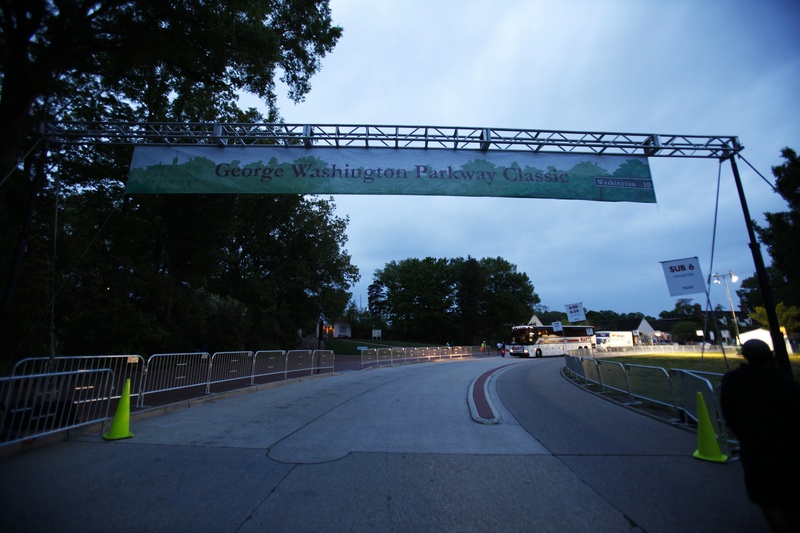 The Parkway Classic, is a 10 mile running event, put on by DC’s local running store, Pacers. 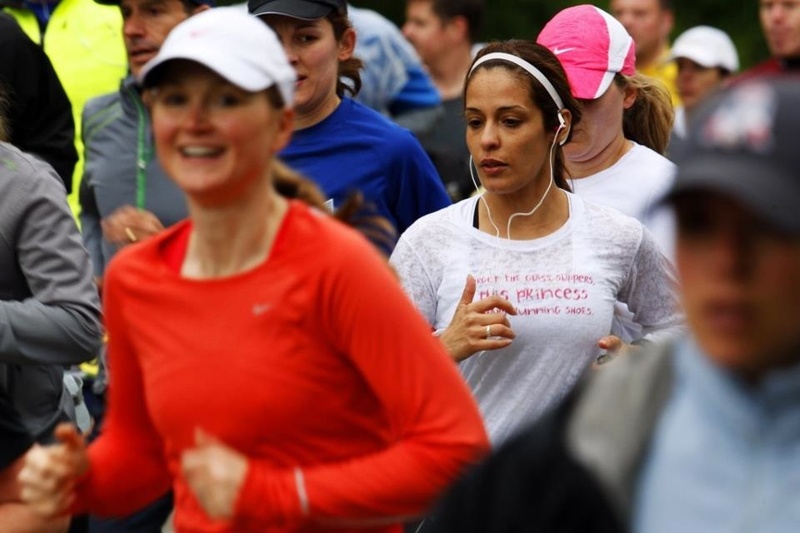 It is scheduled in late April, a couple weeks after the famous and very popular, Cherry Blossom 10 miler. 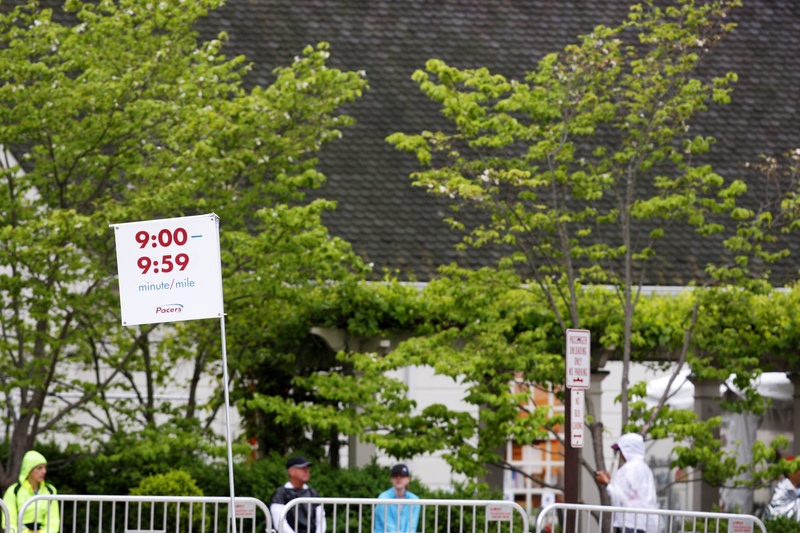 It’s timing is perfect, because the Cherry Blossom 10 miler is now a lottery, so those that registered, but then were rejected from Cherry Blossom, can still have the opportunity to run a 10 mile race in the Spring. 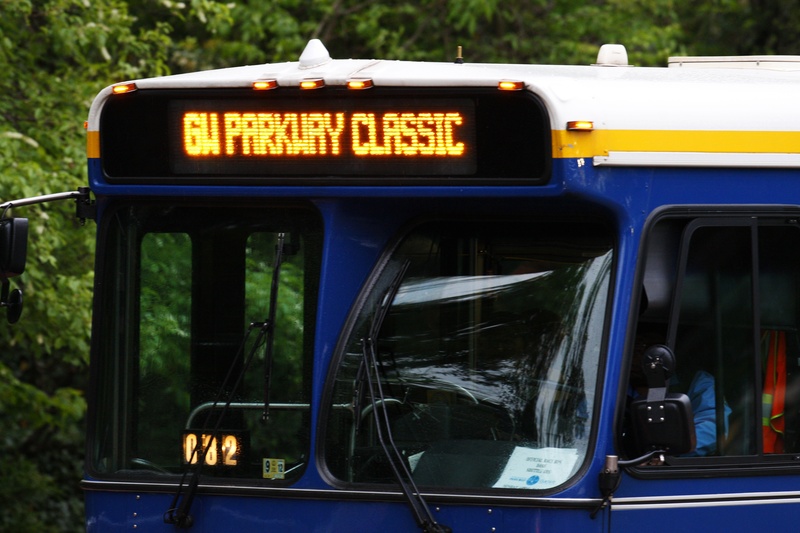 Another benefit to running the Parkway Classic is its capacity. 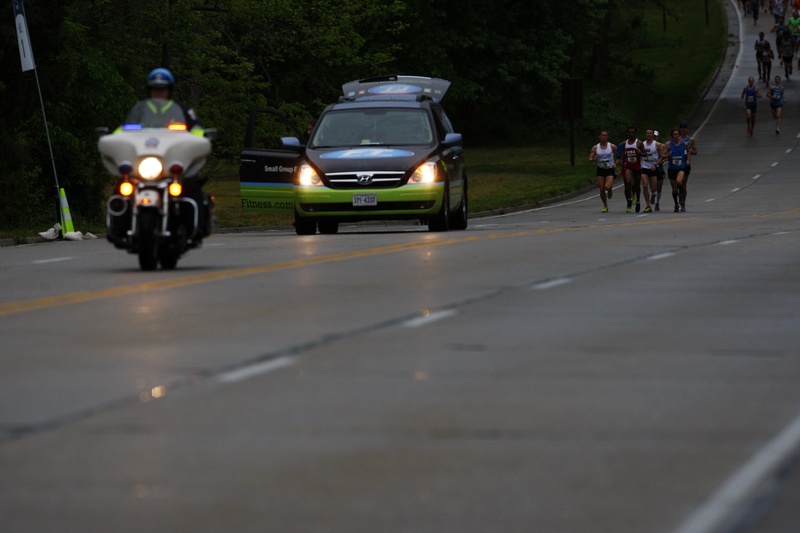 The Parkway Classic is only around 4,000 runners compared to Cherry Blossom that is capped at 15,000. Less runners mean less crowded on the course, and more freedom to run the fast pace you desire, allowing a new PR. 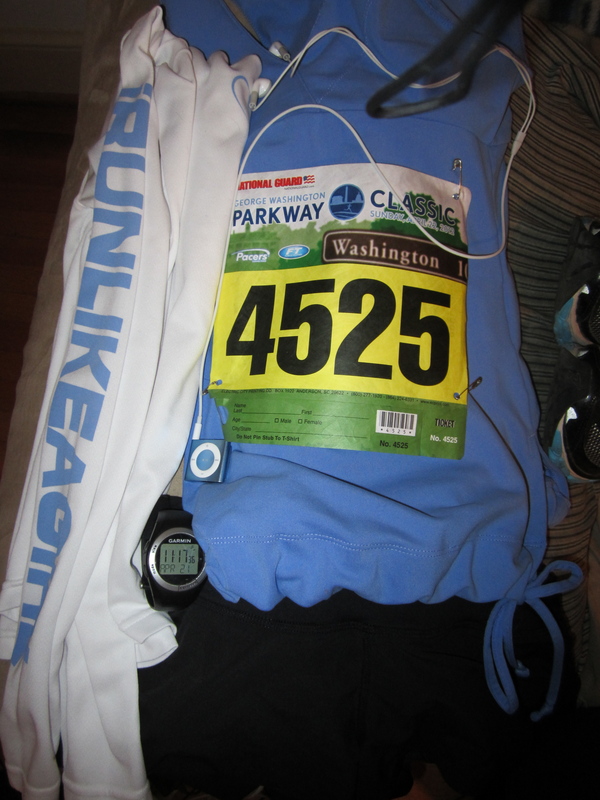 So three weeks after I ran the Cherry Blossom 10 miler, I ran the GW Parkway Classic. This is how it all went down. 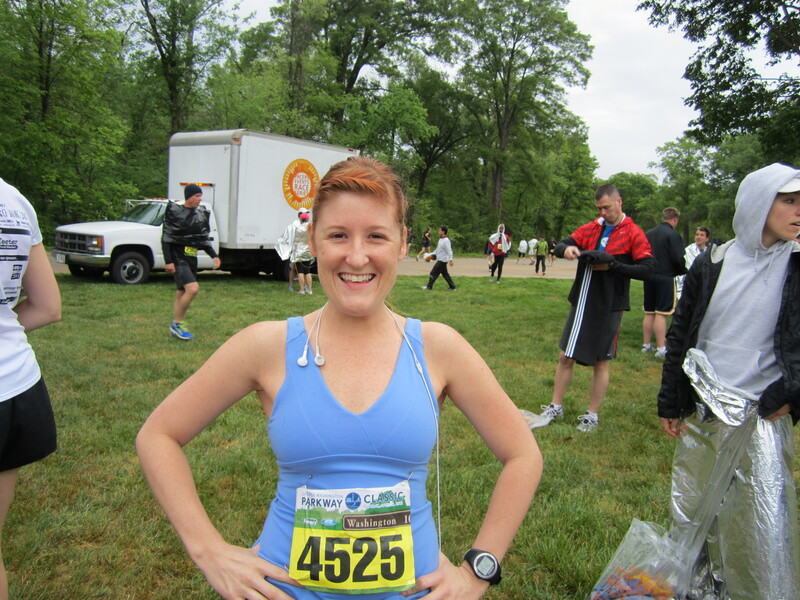 The reason why I ended up running the Parkway Classic is because my sister Emily, my original running buddy, didn’t register for the Cherry Blossom 10 miler, but still wanted to participate in a spring race. Unlike me, who uses Cherry Blossom 10 miler as a yearly tradition, Em, doesn’t find it exciting to run the same races over again. So I registered us both for the Parkway Classic. Although, we have run plenty of 10 milers before, it would be our first time running this particular race. Lina, my coworker and new running buddy, who ran Cherry Blossom with me this year signed up as well. Cherry Blossom was her first 10 miler and she loved it so much, that she immediately wanted to run another one. After running Cherry Blossom, I was feeling pretty good. I hadn’t over trained at all, so I wasn’t feeling burned out. But I didn’t under train either. I was consistently running, and it showed. I have been running for five years, and I have run plenty of 10 milers. I am no longer at the level, where I am running, “just to finish.” And while I am writing this, it seems like I am bragging, but I am actually just reminding myself that. I guess it is time to start thinking about timing. For the last three years, when running the Cherry Blossom 10 miler, I have always set my goal to run it in under 1:30:00. So three years ago I ran it in 1:29:25. Last year I ran it in 1:29:33. This year I ran it in 1:29:26. As you can see, very consistent. I guess my body is just comfortable with that pace, or maybe it is a mental game and because I put it in my mind that I want to run it in under 1:30:00, thats what I do. I don’t know which one it is, but I do know that I really wanted to set a new PR for the Parkway Classic. Just get me away from 1:29 please. Now that I reviewed my past times, and mentally prepared for a faster race, it was time to train a little faster. Unfortunately, I got a little sidetracked when I was introduced to the Newton shoe. If you have read previous posts, you should know, that I went to a running form clinic, and bought a pair of the Newtons, and became obsessed. The Newton shoe is a light weight running shoe, that promotes Natural Running. Well before a race everyone knows it is a big NO NO to switch your shoes, and it is definitely not a good idea to start changing your running form and stride, but I did. I was thinking, switching to a lighter shoe, will make you faster. Adjusting your running form, will make you faster and help prevent injury. Or it could totally backfire. The day after the Running Form Clinic was Easter. My sister really wanted to fit in a 7 mile run that day. She hadn’t run longer than 5 miles in a while and she just wanted to have the peace of mind, that she could run a strong 7. But because of the holiday it was difficult to find the time. So we ended up heading out randomly at 3:30- 4 pm. I had already had a mid day Easter dinner with my boyfriend and his parents which included a cocktail. So I was very full and dehydrated. The day was sunny and 80 degrees. I hadn’t run in that type of heat in a while. The Friday before I sprinted a 5k. I am not use to sprinting short distances, and hadn’t done a 5k since November. The day before, I had participated in a Running Form Clinic which included running drills, in a light weight, almost minimalist shoe. I also ran this seven miles in my regular traditional running shoes. So as you can see, I had been doing a lot of different types of running, totally out of my normal routine. So as you can guessed, my seven mile run didn’t go as well as I had liked. I was still happy I ran, but I will admit, I felt very sluggish, and my legs were really sore. I think it was a combination of everything I said above, including the fact that the day before I was testing out a more light weight shoe, and then during my run I was wearing my Brookes, and they felt extremely heavy. After that training run, I felt a little insecure, maybe I won’t PR, after all, the course is rolling hills the whole way. So I continued training, consistently running in my new Newton shoes, working on my form, up to the day of the race. The Wednesday before the race, Lina and I met up for a training run. I was wearing my Newtons. She was jealous, and tired of feeling pain from heal striking so right after our run, we headed to Pacers to get her a pair as well. On the Friday before the race, we met up again for a training run, then headed to Pacers, to pick up our bib numbers for the race. The Saturday before race, I relaxed and grilled steak and veggies for dinner. I set up my race clothes, updated my Garmin, and charged my iPod. I didn’t feel nervous, just really excited. I set my alarm for 5:20 am, and fell asleep to the sound of the rain. I am not a morning person, so when my alarm went off, I felt like I had hardly slept. I even thought, “Ugh, maybe I shouldn’t even run this race.” It was dark, cold, rainy, and all I wanted to do was crawl back into bed, but I didn’t. I got dressed in my race clothes. Packed my bag I was going to check, and met Lina out front of my apartment. 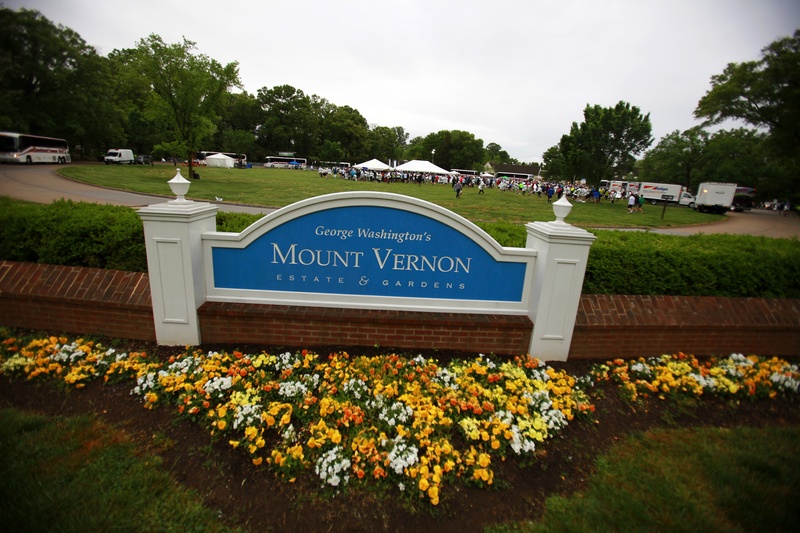 We headed to the shuttle buses, met my sister on the bus, and headed over to Mount Vernon, the start. After the horrible Hot Chocolate 15K, that I had to endure and run in December, I was a little worried about getting people to another Race Start that wasn’t metro accessible. But there is a difference between 20,000 runners and 4,000. Anyway, I had total trust in Pacers, and they did not disappoint. 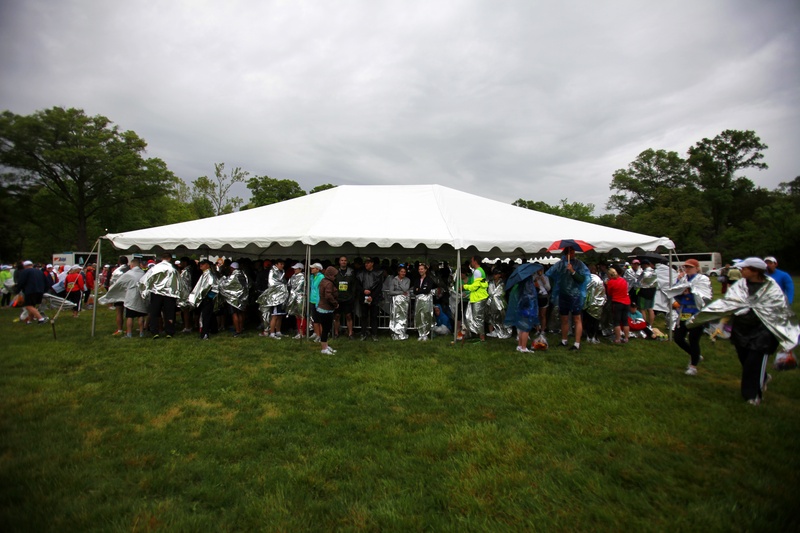 When we arrived to the start, it was still cold and rainy, but they provided us with space blankets. I have used them before, after a marathon, but I never remember them doing anything. This time I was very impressed, they actually really trap your body heat and keep you warm. There was also breakfast, coffee, and coconut water. Over all, I thought Pacers did a fabulous job organizing this race. It is very important to have a well organized race. 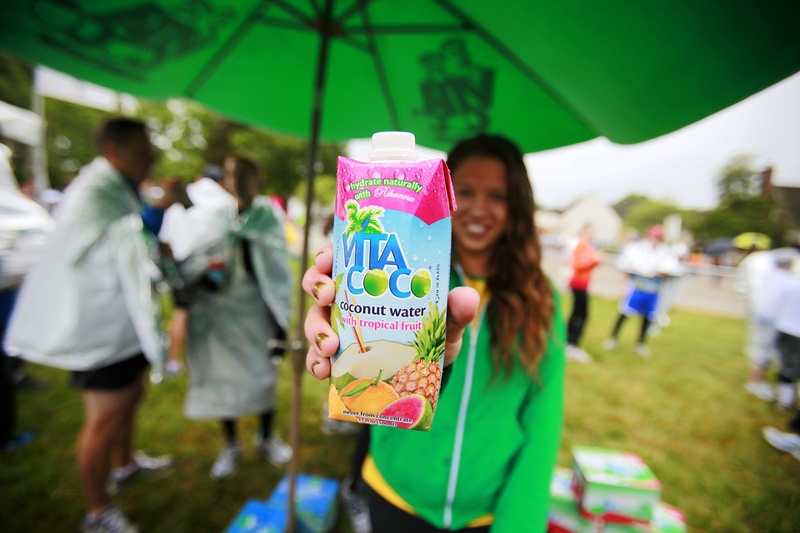 It makes a difference when a running company, that is made up of runners, organizes a race. They truly know a runners needs and wants. Soon enough it was time to check my bag and get in line at the start with all the other runners. So around 7:45 am I stripped down to my shorts and tank top. I almost chickened out, and wore my long sleeve running shirt, that is how cold I was, but I shivered and checked it. Then my sister, Lina and I headed to the start. We lined up with the 9:00- 9:59 corral. It was fine but now looking back maybe we should have stood with the 8:00-8:59 corral. 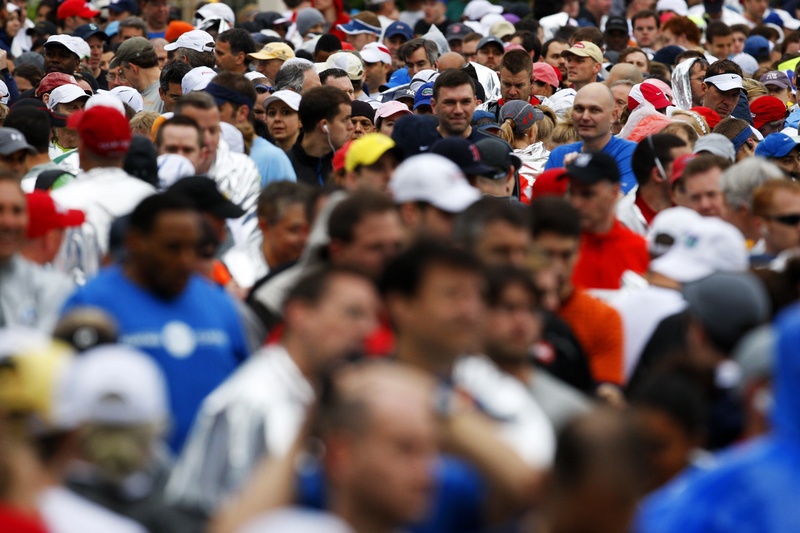 The start line was crowded, but it had an amazing energy. We were all cold, just ready to run and get warm up. But soon enough the race began, and we were off. For the first three miles of the race, my legs felt heavy and sore. I wasn’t sure if it was because of my pace or maybe it was because I was in my heavy shoes, rather than my light weight shoes. Whatever it was, it took the first three miles for me to really warm up. When the fourth mile went by, I was feeling good, fast, and strong. It was funny because I was running side by side of my sister, Emily. But then she started to slow down. At points I was ahead of her. I took advantage of most of the all of the water stations. I pulled of to the side at one of the water stations and then saw my sister go by. I finished my water and ran to catch up to her. I thought she had chosen not to take water at that water stop, but it turns out she missed it, not realizing there was a water station. At mile 7, we saw our friend, Adrian. She came to the cheer us on, with a huge sign. 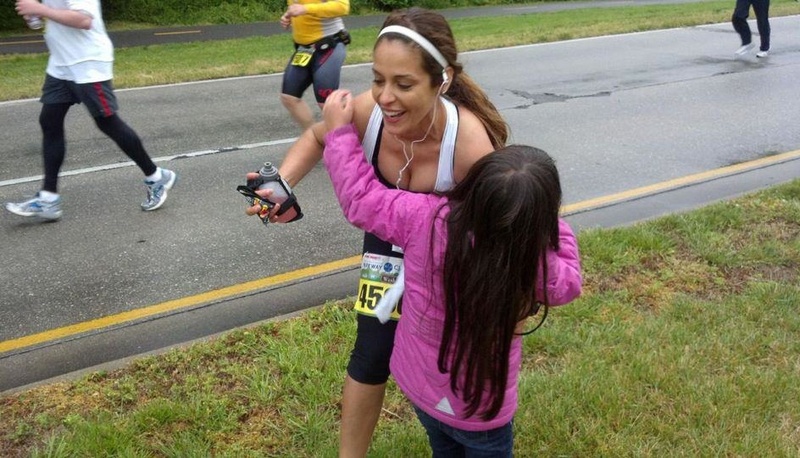 Emily went on running ahead, while I pulled to the side to give Lina’s daughter Kadi a hug. Letting her know that Lina wasn’t far behind. A guy actually stopped me saying the hug I gave Kadi was sweet and totally worth the loss of 30 seconds. I totally agree. Although, I am trying to take my running to the next level, and work on getting a little faster. When people come out to see you, they want to have an enjoyable experience too, and it is rude to run passed them. I wasn’t with Lina during the race, but according to the photos it looks like she ran a very fun, controlled race. There is Lina, looking focused and relaxed. In the end, I set a new PR of 1:28:05. I finally broke 1:29. I was really happy with this race. I felt strong and fast. I felt like I could have continued to run 3 more miles or more. So for the month of April I ran 3 races, two 10 milers, and one 5k. It’s funny how once you hear about something, you start to hear about it everywhere. Well thats what happened to me with the Newton shoes. After seeing the Newton shoes at the Cherry Blossom 10 miler, I went home excited about participating the next week in the running form clinic, and started reading the April issue of Runner’s World, where there was a several page spread dedicated to an article about Newton shoes. A couple years ago when I read the book, Born to Run, by Christopher McDougall, the Vibram FiveFingers first became popular. I wondered is this barefoot running concept just a trend? A trend similar to the Atkins diet, where everyone starts doing it, but then five years later, experts reveal that evidence shows it is not healthy, but actually unhealthy, and an injury risk. Or is barefoot running, ironically the future type of running. Will all running shoes evolve into something more weightless, a minimalist shoe? These are the questions that have crossed my mind, but after being introduced to the Newton shoe and then seeing so many other running brands, such as Brooks and Nike, come out with a shoe that mimics running barefoot, I am now starting to believe that this is not a trend, but rather the future to running. So as I said earlier, I found a lot of my information about Newton’s in the April issue of Runner’s World. This is what Runner’s World had to say. First thing that I was confused about was does Newton consider itself a minimalist shoe? The answer to that is a big fat NO, which was a huge relief. Minimalist shoes such as the Vibrams, scare me. And the reason why, is because of injury. When runners first started to transition into barefoot running, they purchased the Vibrams, and many got injured. 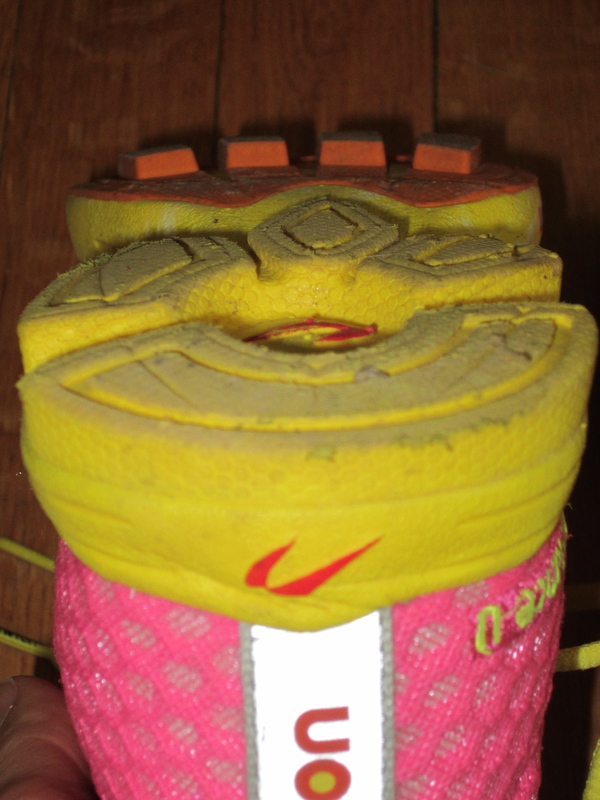 Because of the traditional running shoe, having so much protection, feet became weak. Many runners didn’t have the muscles developed in their feet in order to run in the Vibrams. So it was suggested to adjust your feet and strengthen them by simply walking around in the Vibrams or going on short runs no longer than a mile. But too many runners got to excited about running barefoot and went to far to fast, causing injuries to themselves. So it wasn’t necessarily the shoe that caused injury, but rather the runner, herself. The inventor of Newton shoes, Danny Abshire first started developing the shoe 20 years ago. 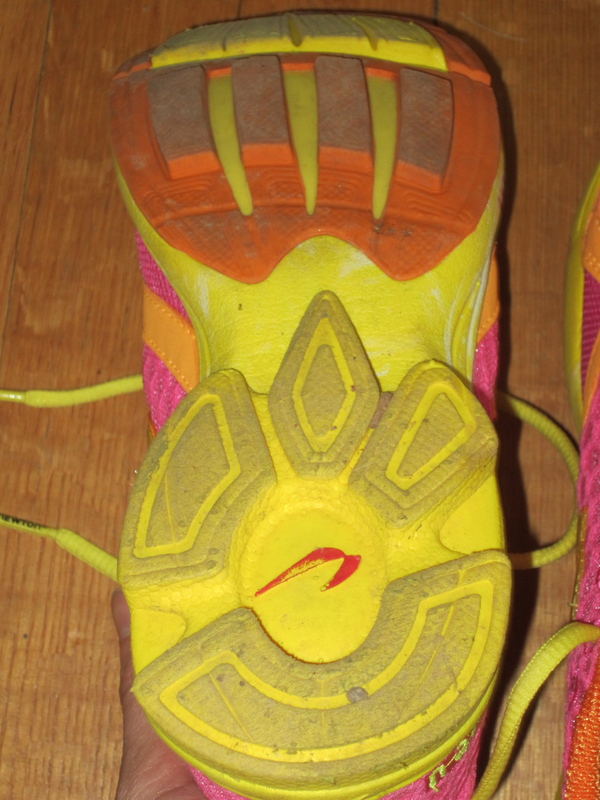 He claims in the Runner’s World article that this shoe is nothing like what runners have worn in the past. And although, it weighs about a third less than the traditional running shoe it is not—a”minimal” shoe. According to Runner’s World, Abshire, who has completed one of the toughest ultras in the country, the Leadville Trail 100, felt like the sport became overcomplicated—and dangerous—as shoes got more and more built up. If you run barefoot, on the sand in on the beach, you will automatically land on your forefoot, so why use a traditional running shoe that changes your running stride and may cause you to heel strike. Experts are now saying landing on the heel is not proper running form, and it puts stress on ankles, knees, hips, and back. Learning this, made me very attracted to the Newton company. People talk about minimalist shoes, and lightweight trainers, being for shorter distances. Many say you can not put serious milage on these weightless shoes. But I am a distance runner, who trains for marathons, so it is important for me to hear that the inventor of the Newton shoe, has completed ultras, and is too, a distance runner. I also like the idea that this company, is promoting natural running form. Spreading the word about proper running form, and getting runners running correctly, is the key to injury prevention, regardless what shoes you run in.